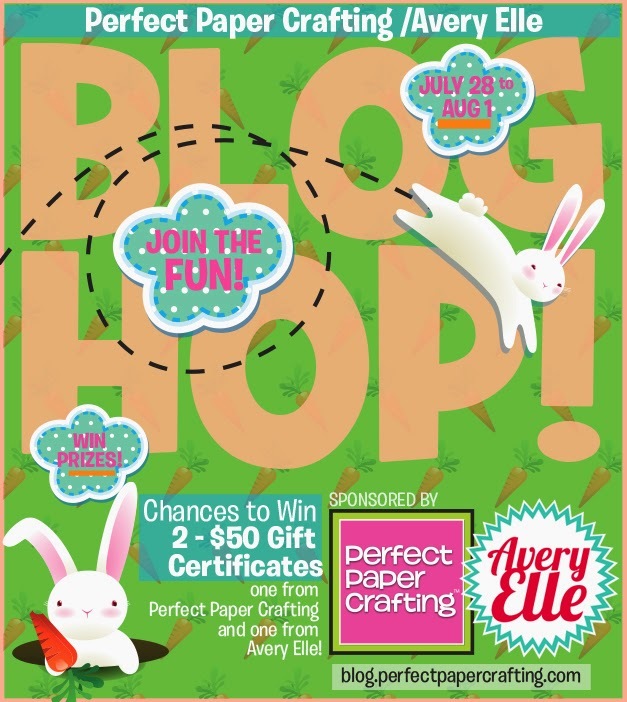 Avery Elle and Perfect Paper Crafting! 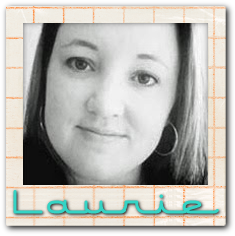 It's Perfect Paper Crafting and Avery Elle week! 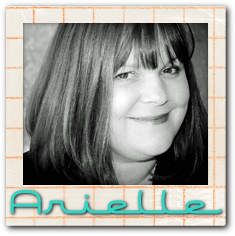 This week the Avery Elle design team is playing with many of Perfect Paper Crafting's most popular products such as their Perfect Layers tools and their Perfect AirBrush. 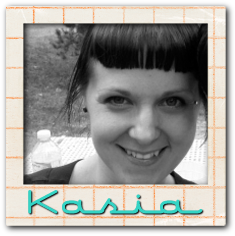 After visiting here, be sure to check out the Perfect Paper Crafting blog for even more inspiration! 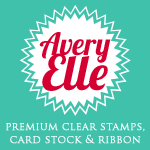 Be sure to comment on our blogs throughout to week to be entered to win one of two prizes - a $50 Avery Elle Gift Certificate or a $50 Perfect Paper Crafting Gift Certificate! 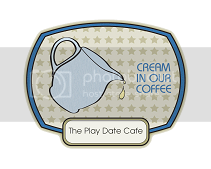 I had a ton of fun playing around with the Perfect Airbrush to create the background for this tag. I also used Avery Elle's Handwritten Notes and Simply Said: Love die. If you look really closely you can see that I used some of Avery Elle's fabulous new patterned paper pads, Sorbet Collection, to die cute the word love. 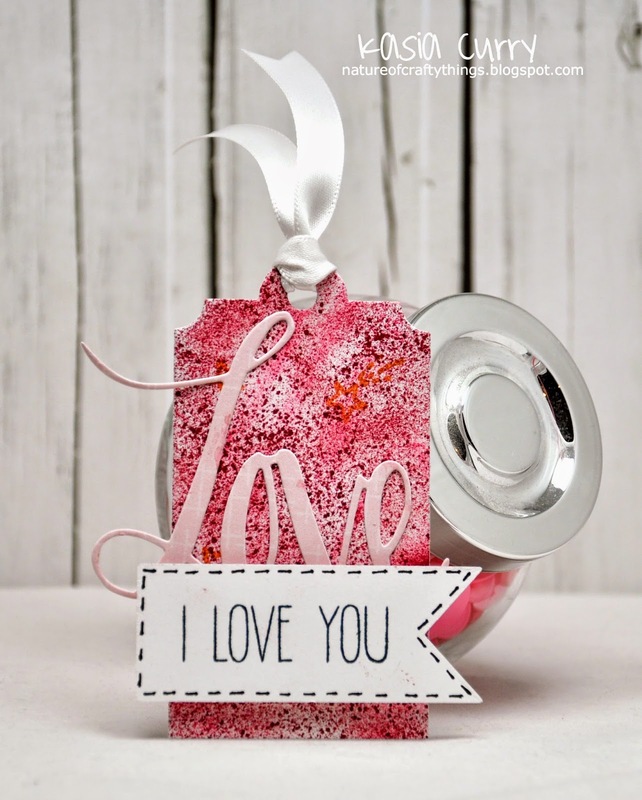 Don't forget to check out the Perfect Paper Crafting blog as well as the Avery Elle blog for more fabulous inspiration. My husband and I spent it away from the little man (first time since his birth 17.5 months ago!!!) and went back to where we got married to celebrate our 5th anniversary. It was a lot of fun, an although we were only away for 23 hours, we spent much of that time talking about him!! Oh well, that little creature does sort of rule the roost around here!! Anyway, today I am sharing a little thank you card that I will be giving to my in-laws to thank them for taking such great care of the kid. I used Avery Elle's Many Thanks set. I just love this bold font, and how it stands out so well against the watercolour backdrop. 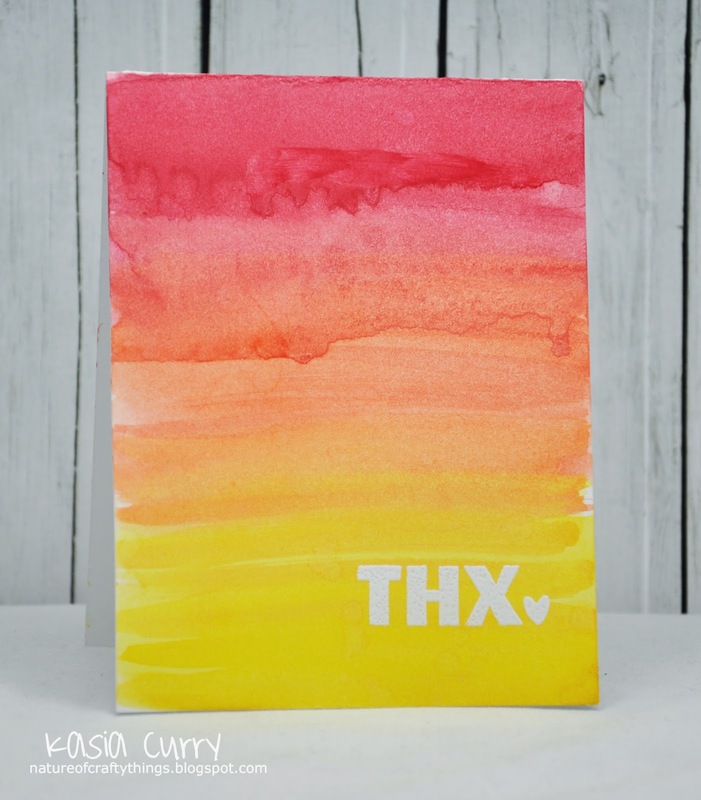 Pop on over to the Avery Elle blog to check out a stunning card by Chunyuan! Authentique and Avery Elle together!! Something really exciting is going on over at Avery Elle this week. If you haven't checked it out please head on over to the blog and see. It's Authentique and Avery Elle week! This week the Avery Elle design team is playing with Authentique papers, Life Cards and embellishments. After visiting here, be sure to check out the Authentique Blog for even more inspiration! We have a fabulous prize up for grabs so be sure to comment on our blogs throughout to week to be entered to win a fabulous prize! 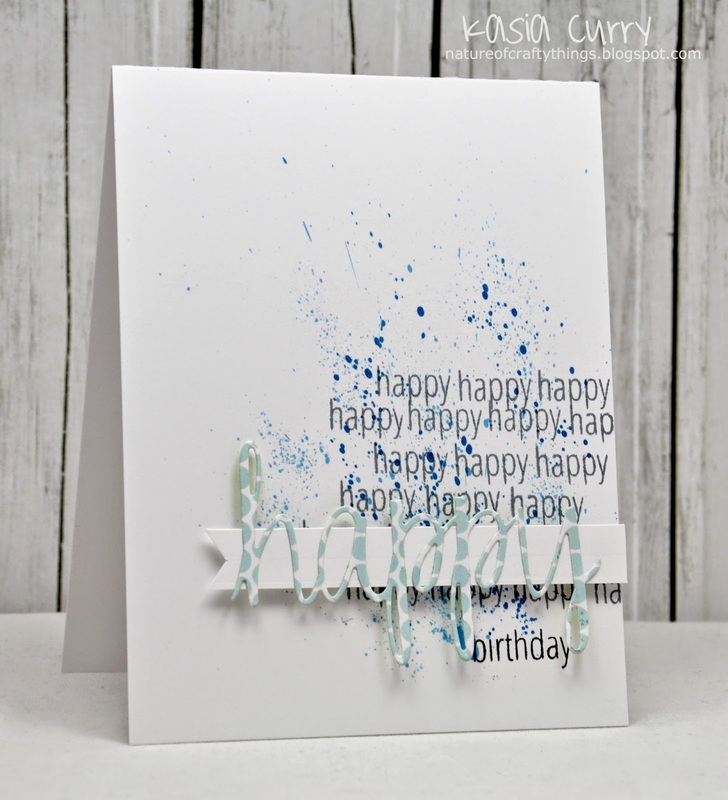 I used some of Authentiques fabulous items from their "Harmony" and "Radiant" lines to create this fun card. I also used Avery Elle's Build a Banner and Weather it sets as well. Please hop on over to the Avery Elle blog today to check out some AMAZING cards from Chunyuan, and the rest of the DT this week. Simply Said: Happy (with accompanying dies) from Avery Elle. 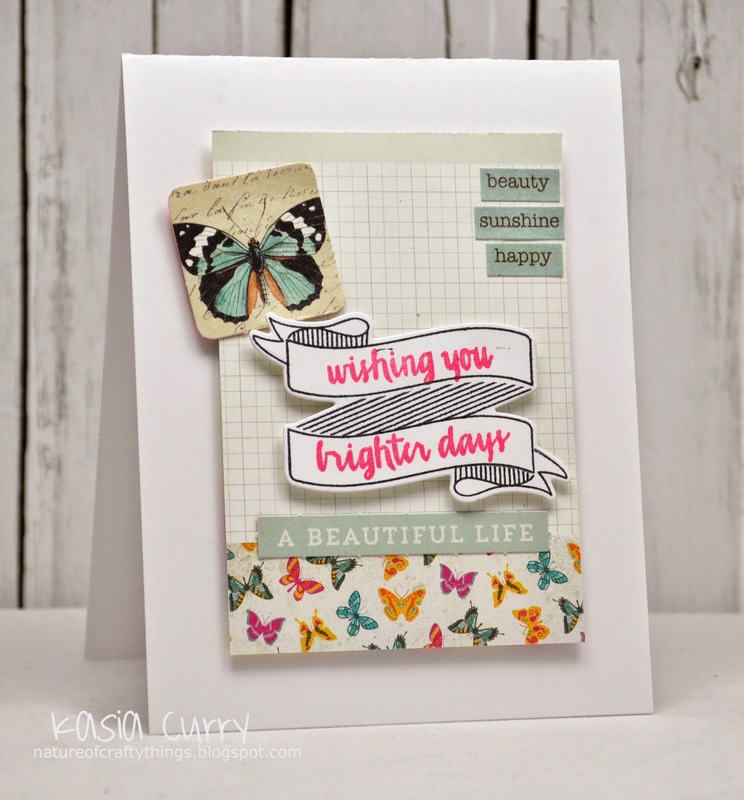 The "happy" was cut out using some fabulous new patterned paper that Avery Elle will be releasing tomorrow!! It is absolutely fabulous, and coordinates with their most popular ink pad colours. Please hop on over to the Avery Elle blog to check out more inspiration from the fabulous Chunyuan. 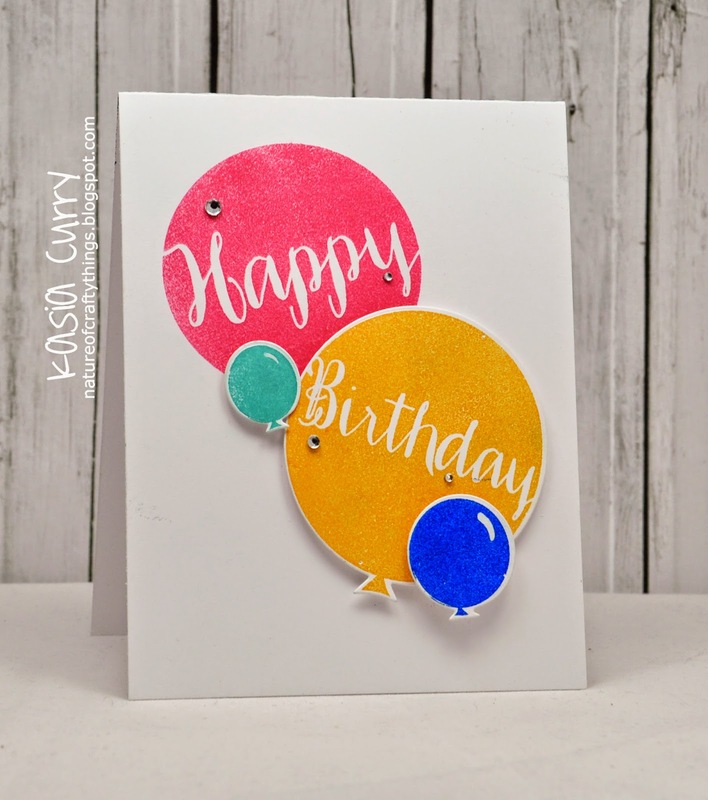 I am sharing today, a fun birthday card I made using one of the new Avery Elle sets, Balloons. This set is so much fun, and would coordinate well with any of Avery Elle's other birthday sets. The fabulous thing is, there are also matching dies!! Head on over to the Avery Elle blog to check out more inspiration from Chunyuan.